As you climb through the gray cloud deck and break out on top, the cockpit is flooded by sunlight. Your eyes squint to adjust to the bright sunlight. You look around at the LCD displays and they are hard to see from the glare even with sunglasses on. If you are relying on the old “steam” round gauge navigation instruments then you probably have updated to an iPad or iPhone to help you navigate without the cumbersome paper charts. But glare is reflecting off the surface and you can’t read the display. To help pilots overcome this glare issue, NuShield has introduced the DayVue anti-reflective overlay film which will absorb most of the glare and provide almost perfect LCD screen visibility, even for wearers of polarized sunglasses. The film filters out 99% of UVB light from reflecting back to the eyes. Apple iPad with NuShield DayVue film on top half of the screen shows difference. This is a military-grade product that is used on devices in the war theater to help soldiers read displays in the desert and other harsh environments. The film is also used by boaters to help them see their GPS displays out on the water where glare reflects off every surface. The NuShield DayVueTM is the only screen protector film that combines anti-reflective technology and superior scratch resistance and makes the LCD screen easy to read. 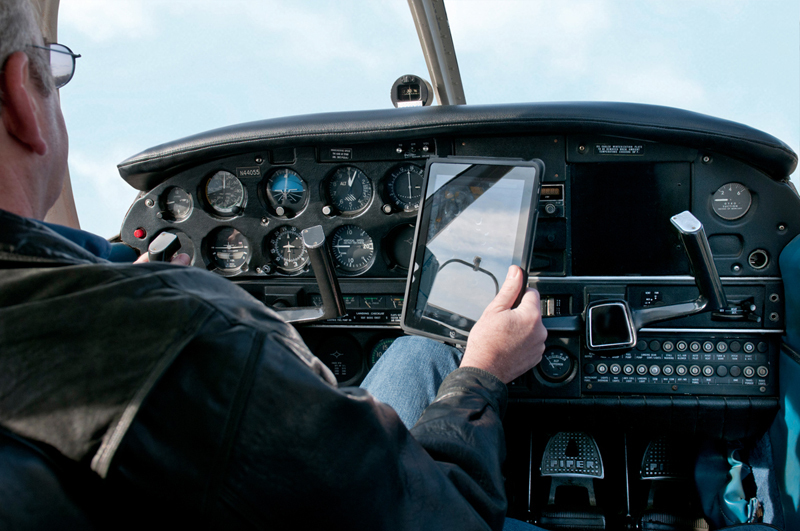 Apple iPad with NuShield DayVue installed absorbs glare even in a bright cockpit. 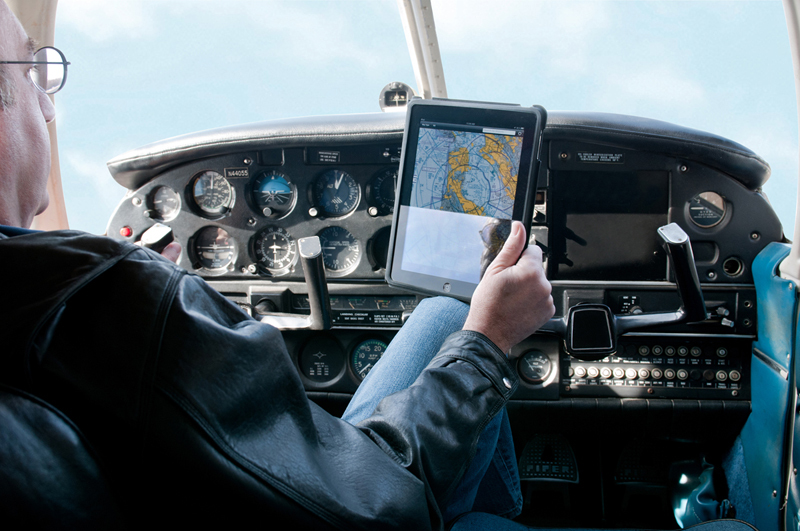 The DayVue is also an excellent barrier to provide LCD screen protection from scratches caused by stray items floating around the cockpit or loose belt buckles. The film is only 0.005 inches thick which offers excellent scratch protection and touch sensitivity. The DayVue also provides excellent screen clarity when the device is used indoors or during night flights. The NuShield films are pre-cut and very easy to install directly onto the screen without any mess or air bubbles because of the rubber tacky backing on the film instead of glue adhesives. The NuShield DayVue films are available for any device with an LCD display up to 50 inches diagonal. NuShield supports all major GPS manufacturer devices such as Adventure Pilot, Anywhere Map, Aviation Safety, Garmin, Magellan, Northstar, etc. NuShield currently has size information for over 6,000 different devices and will be happy to create new ones if measurements are provided without extra charge.